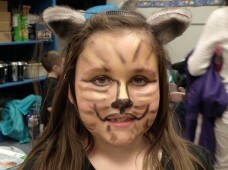 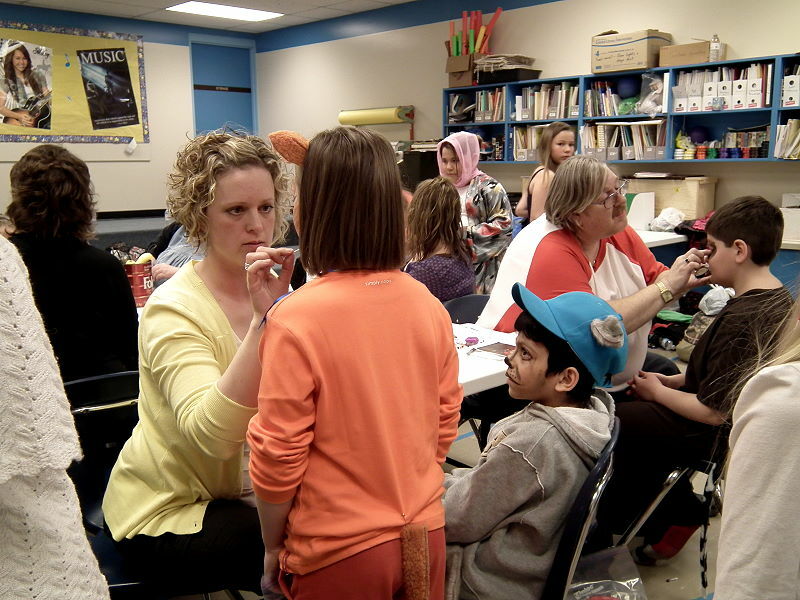 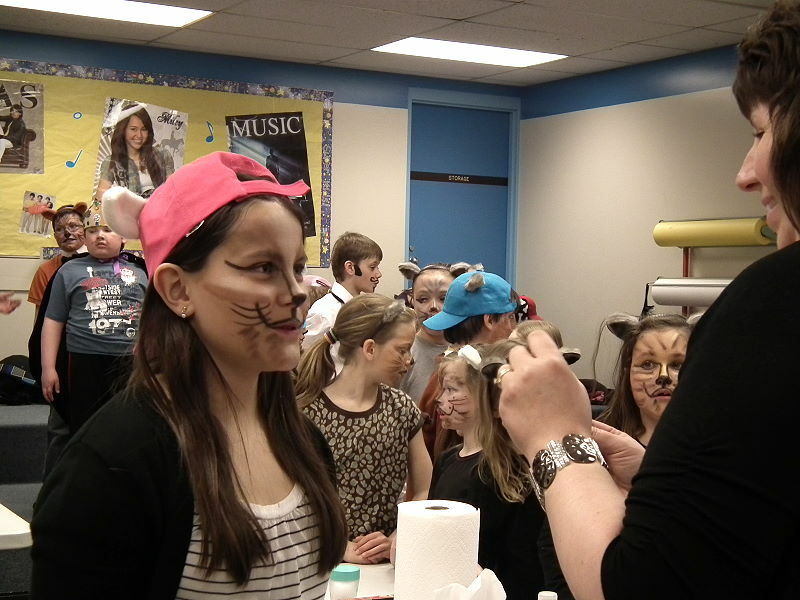 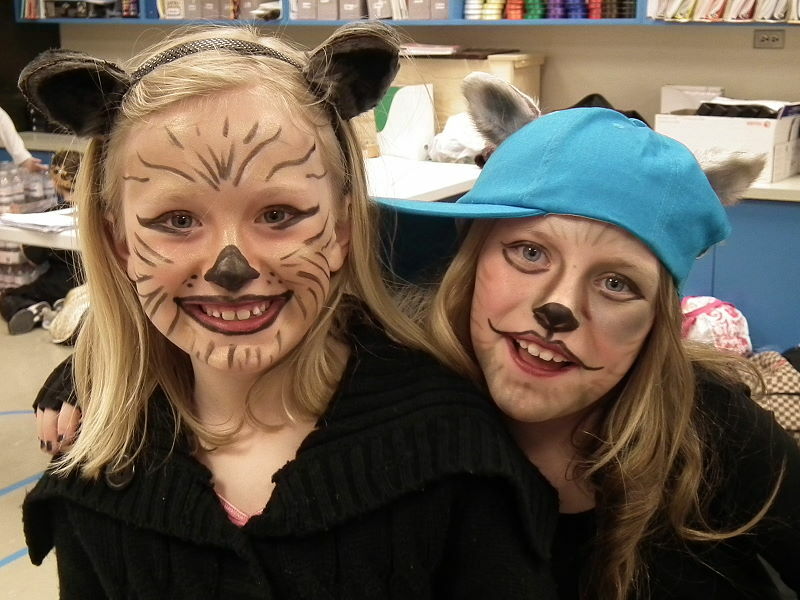 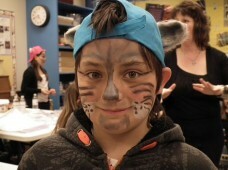 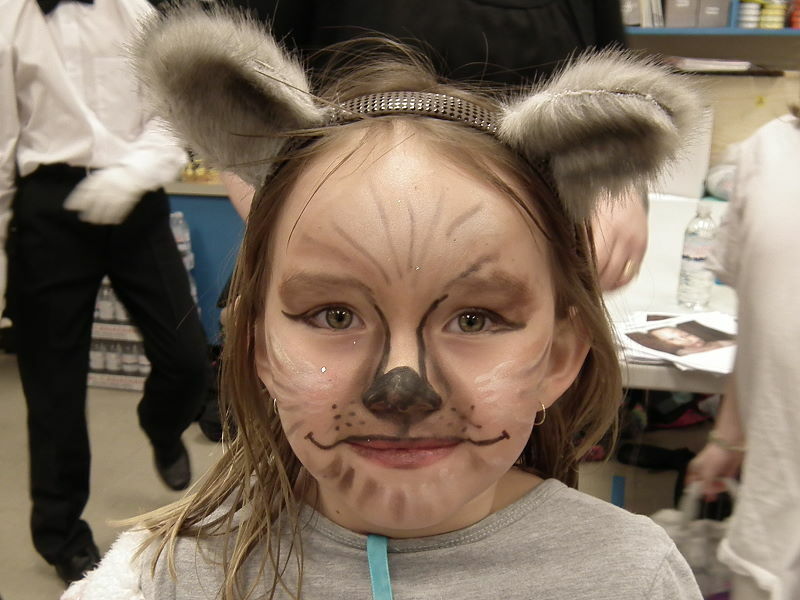 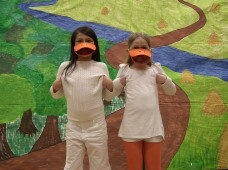 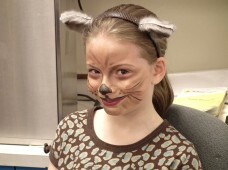 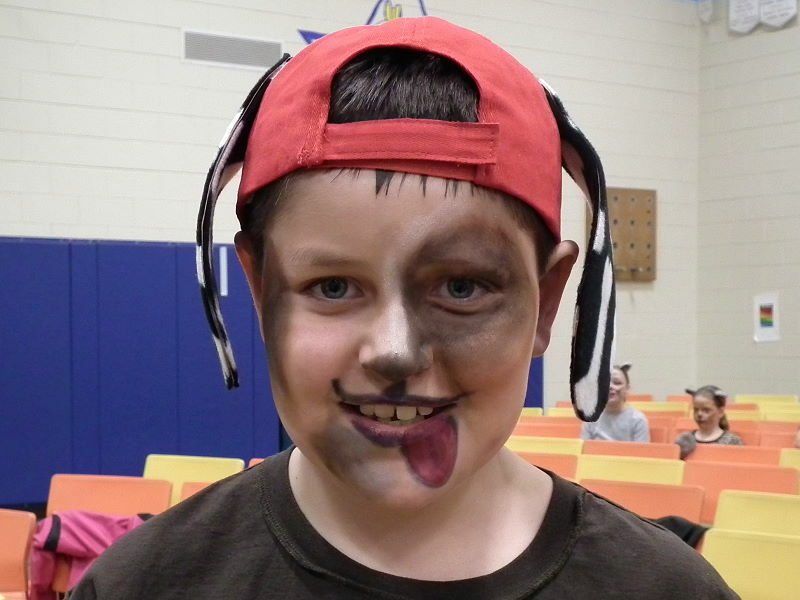 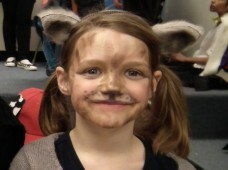 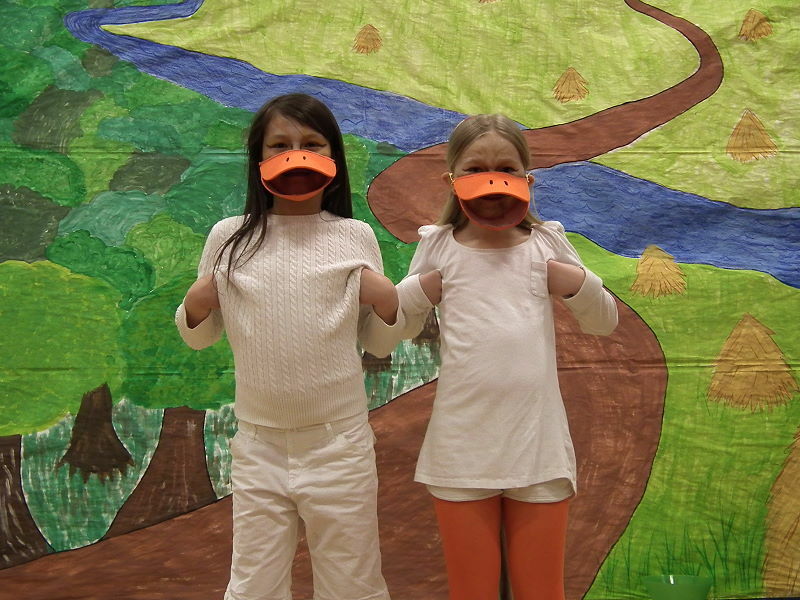 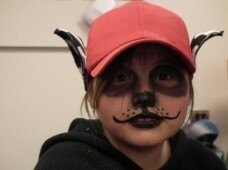 The first performance of the Aristocats took place at Taylor School on Thursday, April 25, 2013. 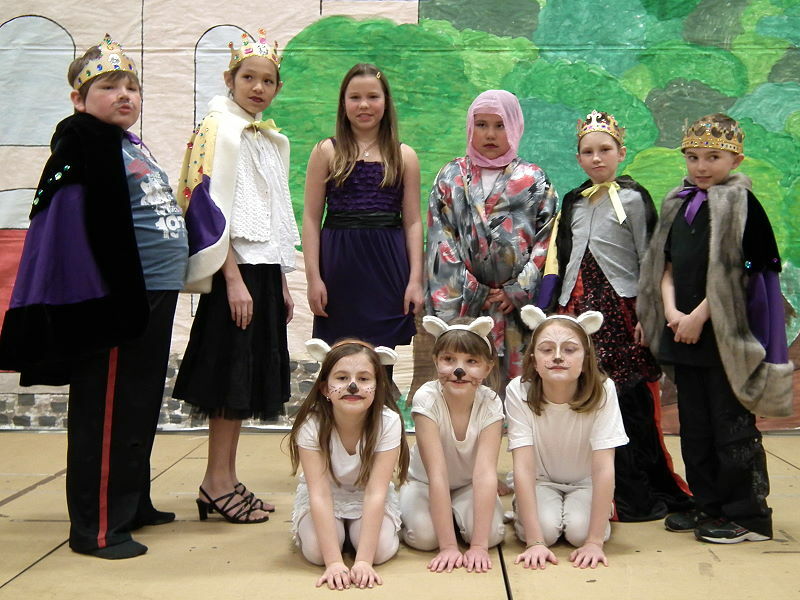 The actors included students from Grade 3-5 who were backed up by a chorus made up of mostly grade 2 students. Thursday’s show was sold out in advance, with less than 100 tickets remaining for Sunday’s show. All proceeds of the presentation will be going toward arts programming at the school. Many of the cast members were able to take a few minutes to pose for a photo while waiting for the show to start. 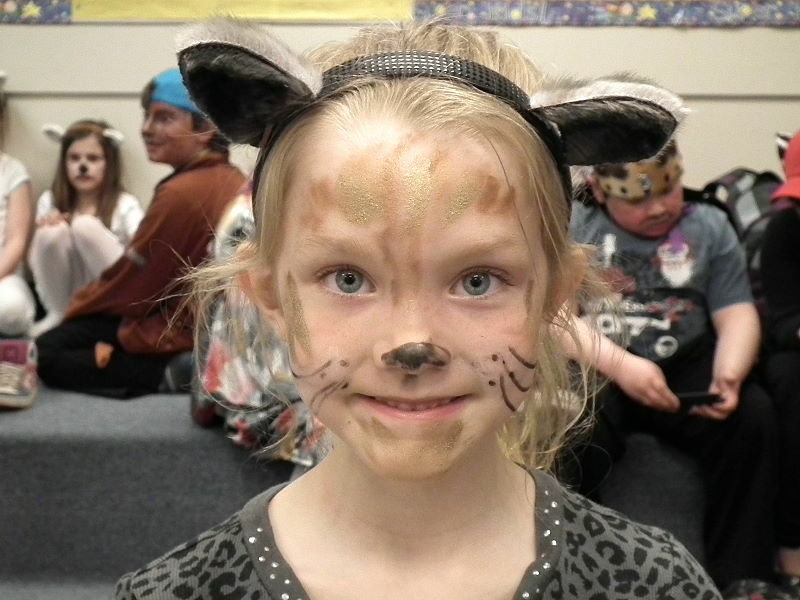 “The most gratifying thing is that the students never complained about anything … ever,” said Aristocats director and music teacher Patricia Nicolle who commended the kids on their hard work and dedication, giving up time at noon, after school and even weekends. Many creative elements contributed to the presentation including a backdrop sketched by Judy Mosiondz and costumes created by Wade Dale who was also coordinated the detailed makeup shown above.